The Season 2 of World Boxing Super Series (WBSS) will start here in Japan on Sunday. We saw a press conference of all the contestants for the triple main event in attendance today (Friday). 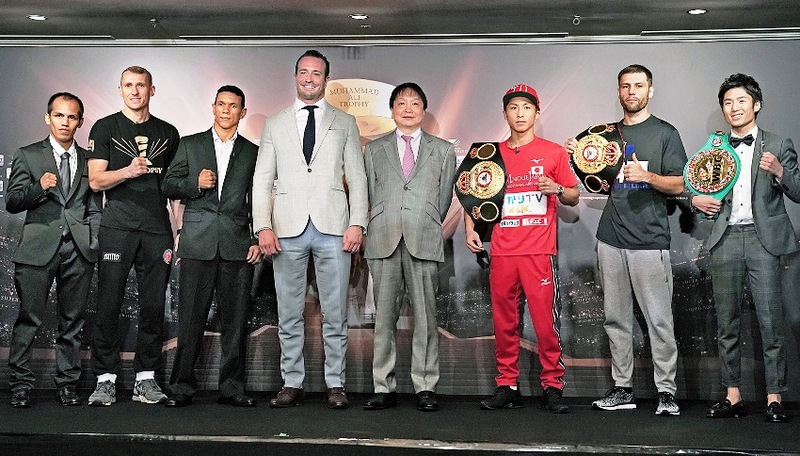 Kalle Sauerland, the WBSS organizer, expressed his great pleasure to have the first show of the Season 2 staged in Japan and said it would be shown in some 120 countries. The show will take place at the Yokohama Arena, Yokohama, Japan to be presented by Ohashi Promotions in association with Teiken Promotions.